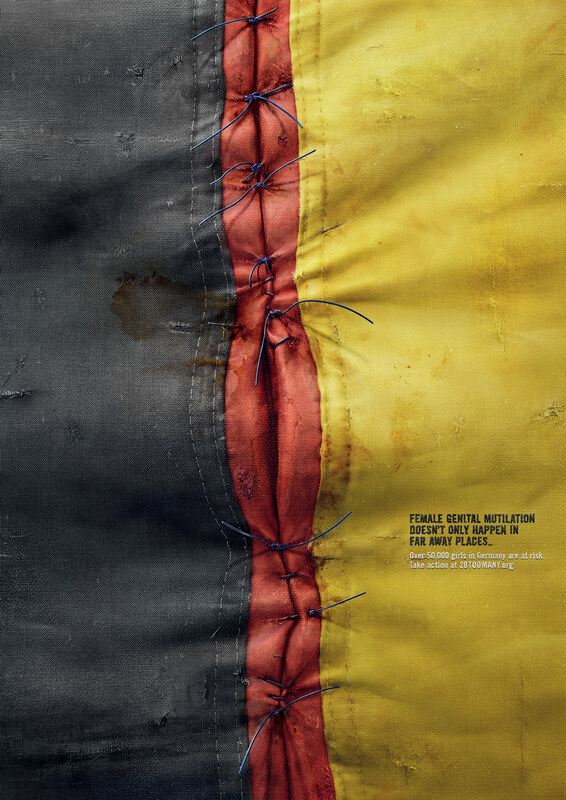 Ogilvy & Mather London won two gold Press Lions, a gold Outdoor Lion, along with silver and bronze at Cannes Lions International Festival of Creativity for its thought-provoking ‘It happens here’ campaign for the anti female genital mutilation (FMG) charity 28 Too Many. 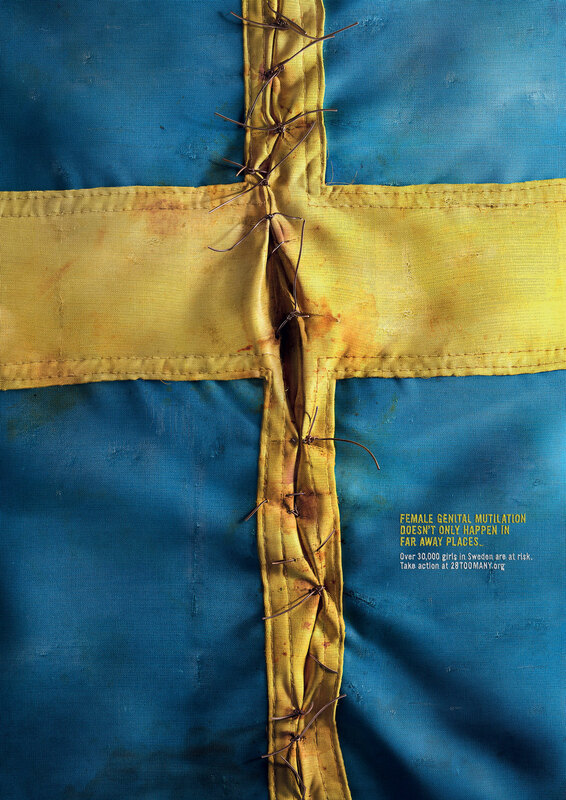 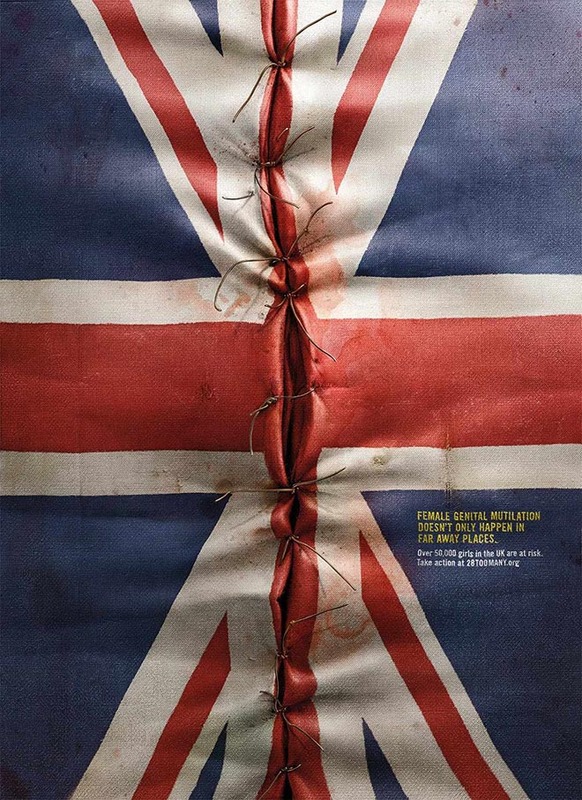 The six ads show mutilated flags sewn back together, with the tag line, “Female Genital Mutilation doesn’t only happen in far away places”. 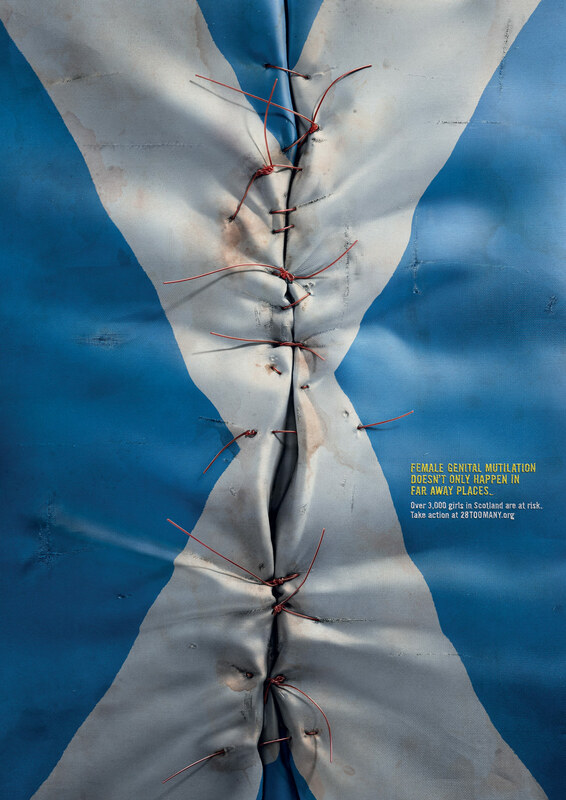 28 Too Many is focused on research and enabling local initiatives to end FGM in the 28 African countries where it is practised and across the diaspora. 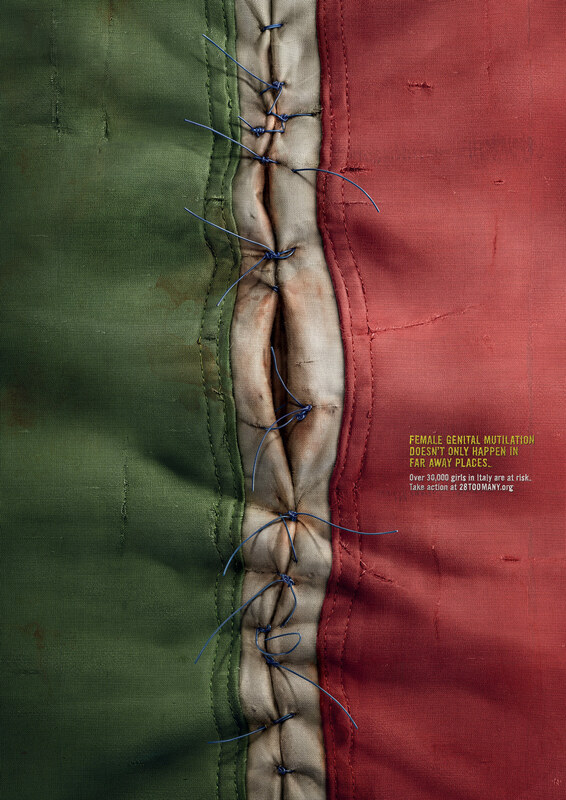 They also network and advocate for the global eradication of FGM, working closely with other charities and organisations in the violence against women sector. 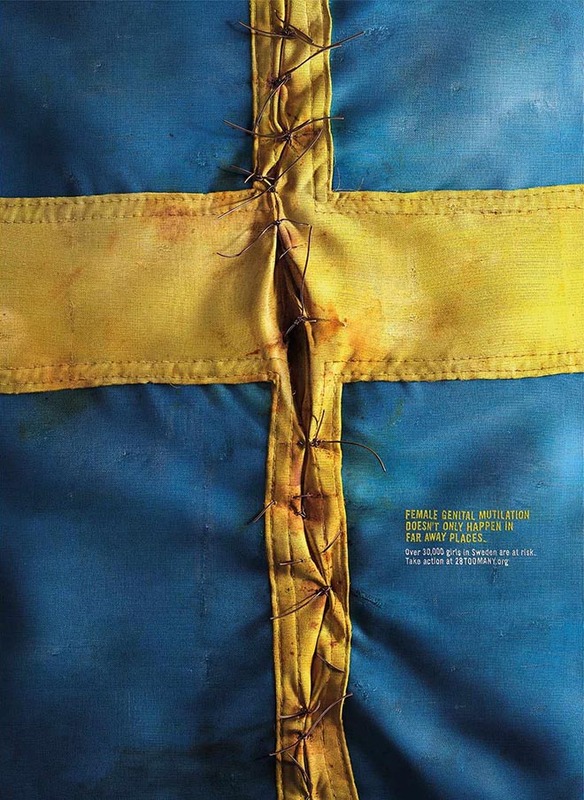 The “It Happens Here” campaign attacked this problem with six print ads featuring the British, Scottish, Swedish, German, Italian and Dutch flags, appearing across outdoor poster sites, 85 university campuses and within regional print media. 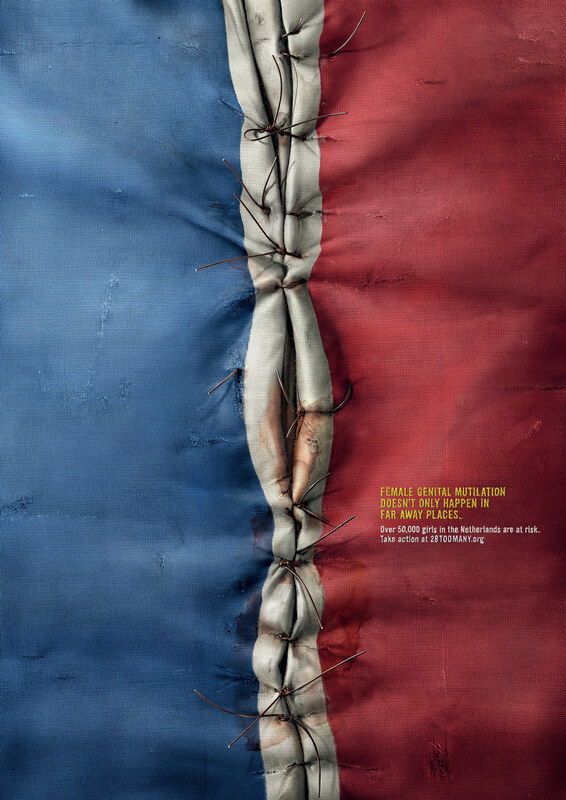 The campaign brought awareness to the growing problem in Europe with the charity seeing a surge in interest on their website and social media, with a vast amount of positive feedback and acknowledgement of the issue, highlighting the message that supports the powerful visual – ‘Female Genital Mutilation doesn’t only happen in far away places’. 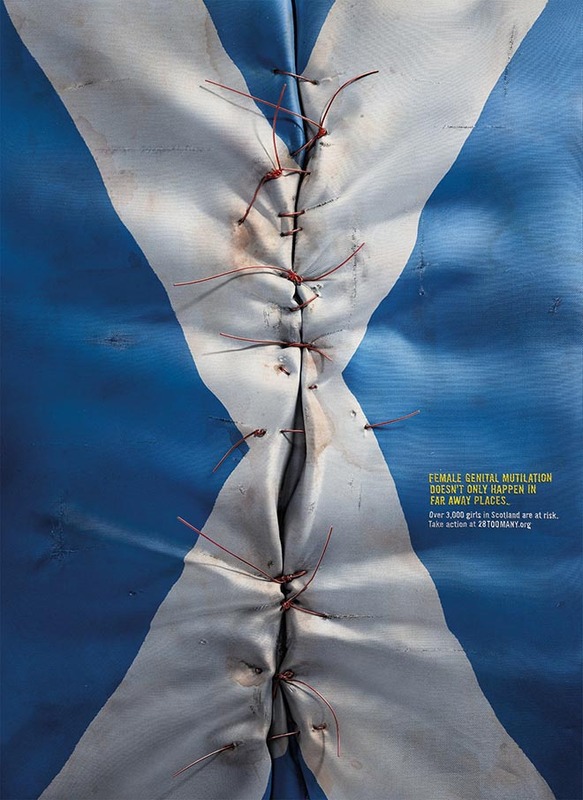 Dr Ann-Marie Wilson, Executive Director of 28 Too Many said: “FGM is not just being performed in Africa, the Middle East and Asia but is taking place here, in Europe, on our very own door steps. 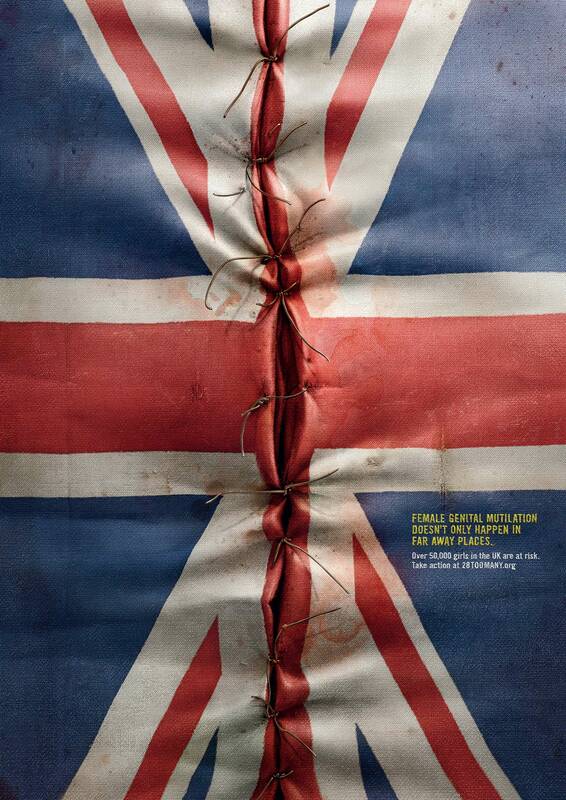 This emotive campaign visually encompasses the concept that FGM is not an out of sight, out of mind problem but at present a risk to over 60,000 girls in the UK. The 28 Too Many It happens here campaign was developed at Ogilvy & Mather London by art director Trevallyn Hall, copywriter Laura Rogers, designer Mark Osborne, retoucher Trevor Qizilbash, executive creative director Gerry Human, production manager Grant Mason, planners Su Day and Amelia Wood, CEO Cheryl Giovannoni, account lead Cheryl Giovannoni, account director Clare Dimmock, account manager Melanie Vickers working with 28 Too Many CEO Ann-Marie Wilson. 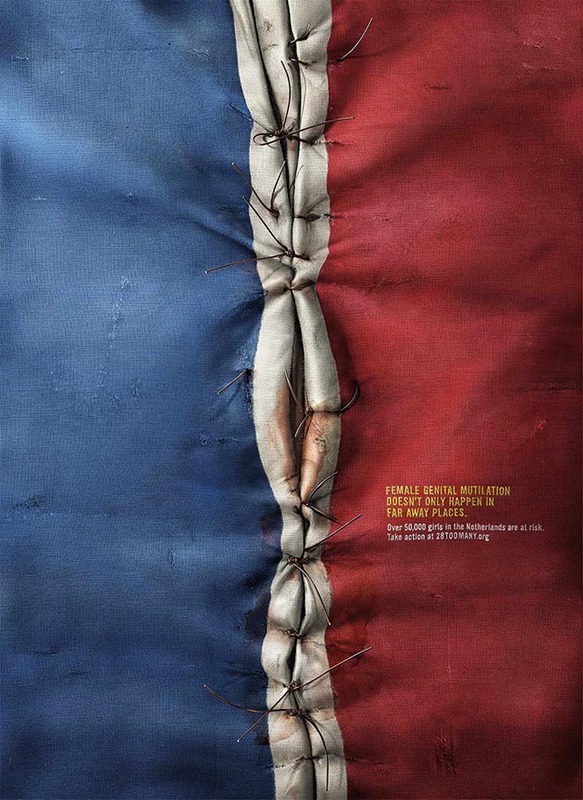 Grant Mason. 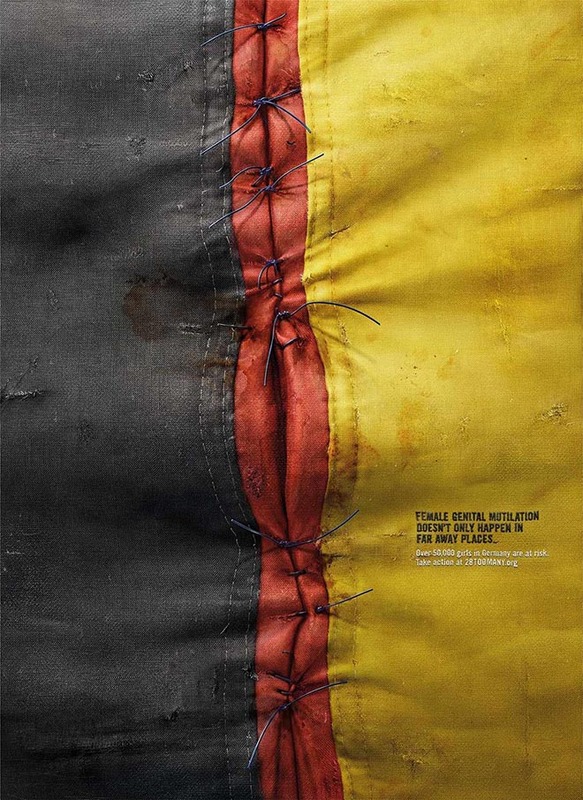 Media was handled by Neo@Ogilvy and Paul Brown Media Perspectives, London.